This week was an exciting one for me, I was truly blessed with all the birthday wishes, lovely gifts and wonderful books to read. I have spent some time in my tea tent and organizing the yard for the better weather, as it warms up I will be happy to read in the back yard especially as my niece PB loves to be outside and not inside. She is a very busy toddler and loves the back yard. All of Heather Blake's books were on my table this week and Gone with the Witch was spectacular! You are going to love it! 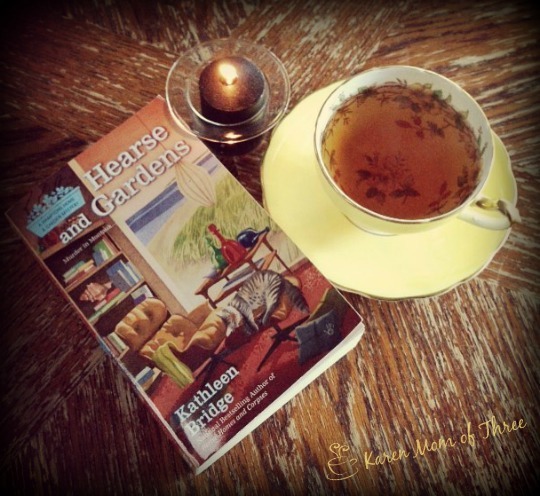 I had Hearse and Gardens by Kathleen Bride on my table this week and it was such an exciting read! 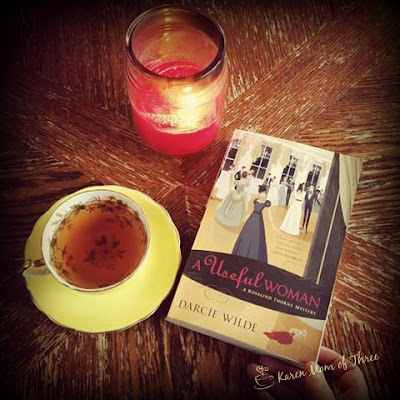 I did read and finish A Useful Woman and look forward to sharing my review with you on the 10th of May. 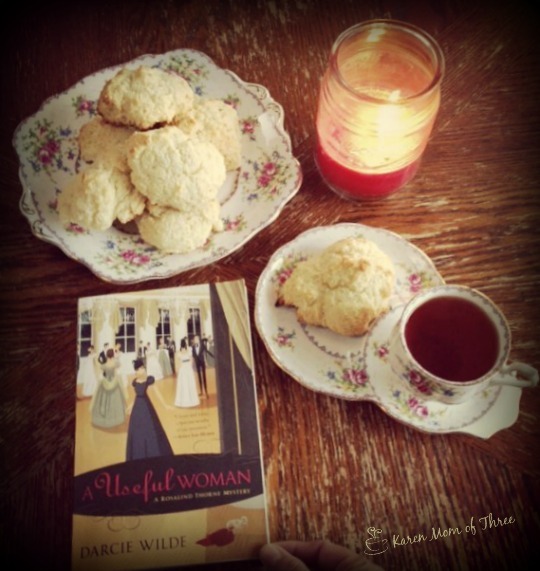 I am trying to space my reviews out a bit and this book is one you will want to savor! I will say this Darcie Wilde has me excited for this new series! 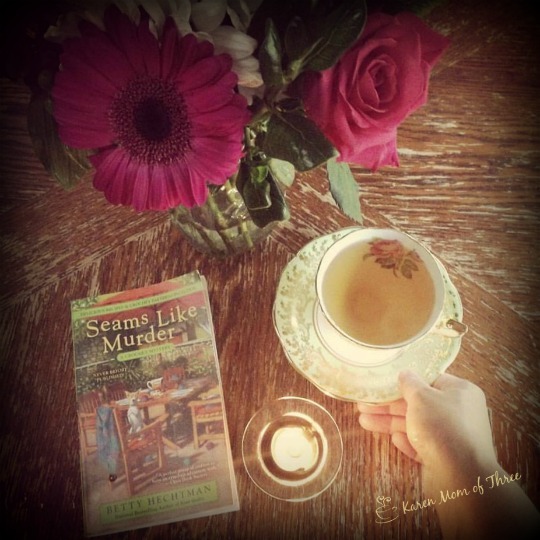 Last night I finished Seams Like Murder and will have a review for you on the 12th. 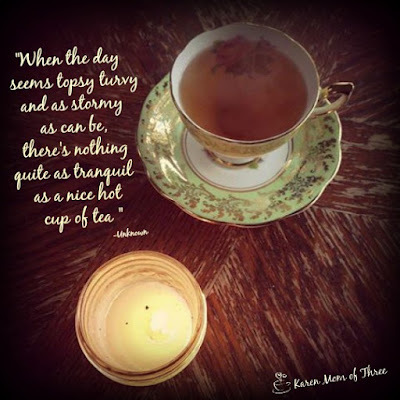 I enjoyed a new Lady Grey Tea I was given for my birthday this week from Pippin's and I shared a review of it Steeped in Traddition click here to see the review. 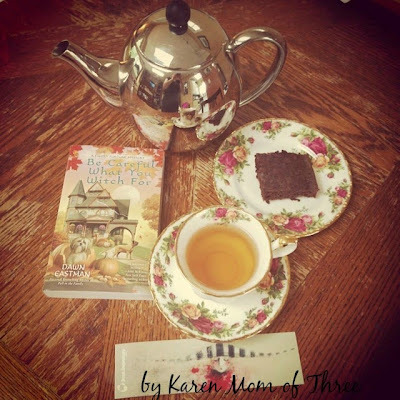 I was so pleased to have Terrie pop by for tea this week and share about her series and her new book Read To Death. 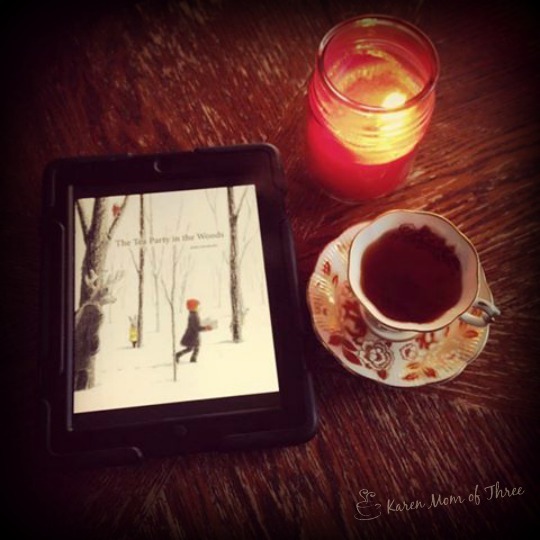 An Unhappy Medium A Series You Should Be Reading! 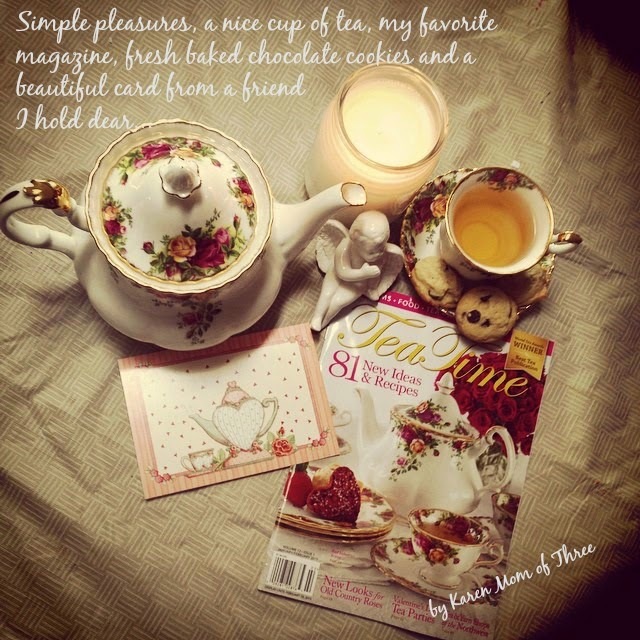 A rainy day, a delicate tea cup and saucer, a delectable caramel tea and a constant companion by candle light not a bad way to almost end this month of April. An Unhappy Medium by Dawn Eastman was released earlier this month and I had the pleasure of reading and reviewing it. This was the perfect book to read over the Easter weekend. Dawn Eastman writes in away that makes you feel like you are a welcome member of main character Clyde's family. 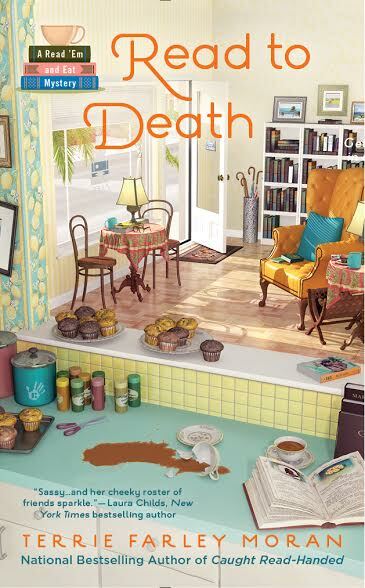 "Psychic Clyde Fortune and her zany family are back in the fourth in the national bestselling series from the author of "A Fright to the Death." "Former cop and novice psychic Clyde Fortune finds herself in a race for justice when a Zombie Fun Run turns deadly..." "" All of Crystal Haven, Michigan, is psyching up to participate in a Zombie Fun Run organized by Clyde s nephew Seth, but Clyde is fretful about the undead festivities. For one thing, her sister, Grace, has unexpectedly returned to town after fifteen years. For another, Clyde has the nagging feeling that something is about to go wrong... When one of the zombie runners is found murdered and then Grace disappears, Clyde realizes her grim premonition is dead-on. Now, she and her police detective boyfriend Mac must find a ghoulish murderer before someone points the finger at Grace. And when a tangled web of family secrets and old grudges combines with a mysterious case of stolen diamonds, even someone as quick-witted as Clyde might not be able to outrun a killer..."
I first discovered this series in 2014 and I loved reading through it, I hope you find and feel the same connections, to these characters that I did. 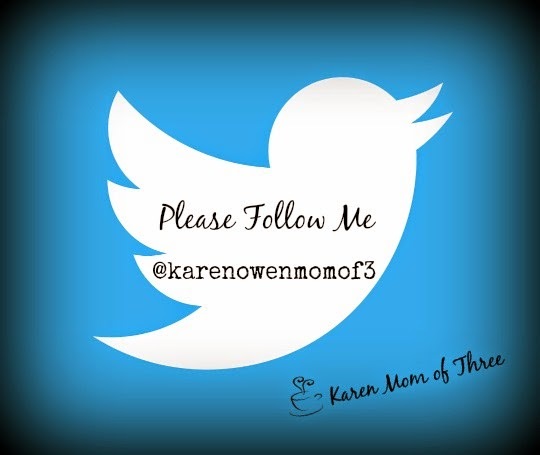 To learn more about Dawn Eastman please click here. I have not been reading in the last 24 hours as much as I would have liked. 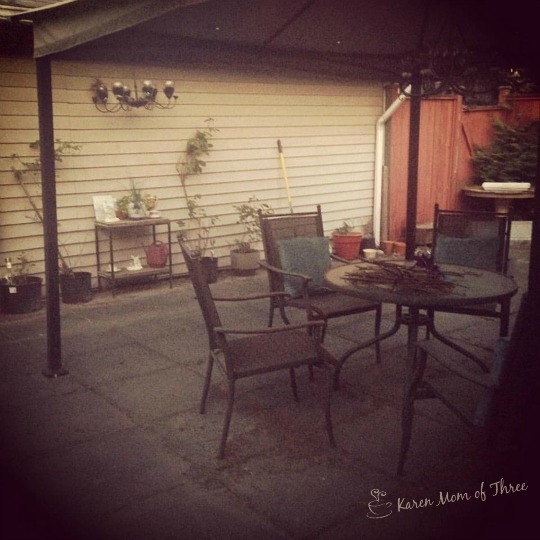 I have however been gardening, getting my back yard tea tent in shape. 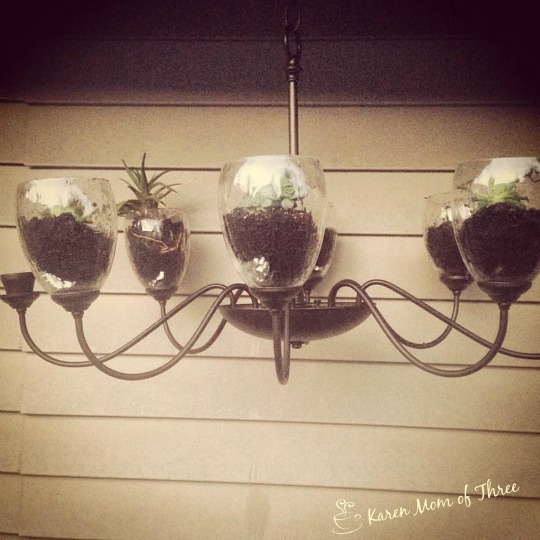 Today I planted the succulent garden in a beautiful chandelier that was not working, I am only sad that I broke one of the glass containers so I had to remove another one, but I will put two solar lights in them and hope that they look okay. I filled the glass with dirt and a succulent plant I love how it looks I think the little lights will be a welcome addition. I recovered my hand-sewn pillows with some dollar store pillow covers, I was going to buy new pillows but for the price of two pillows I got 8 pillow cases that zip over the old ones! $24 is a great investment and now I just need to purchase a few more square pillows which will still be a fraction of the cost of 2 new ones. The dollar store ones are in a steel blue and steel grey, I can add embellishments easily if I wanted too at $3 each they are a steal! You can see them in the first tea tent photo above, they are the solid blue ones, I was loosing the light as I put this post together but will have more photos soon of the updated look. 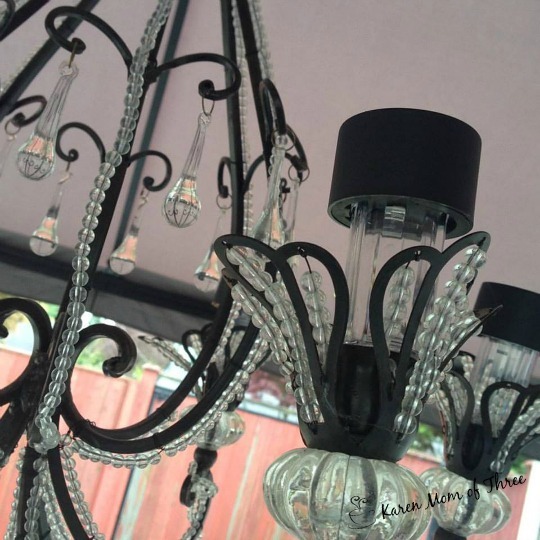 My best find though thus far is the tent chandelier, this candle holder I added solar lights too and it is such a beautiful piece! I hot glued in some solar lights and it is really pretty a night, not super bright but very pretty! With candles going and the glow from the house lights this will be a lovely space to sit and read as the nights turn warmer. While I love my front yard tea spots in the late spring and summer mornings, evenings in the back yard are much more comfortable. 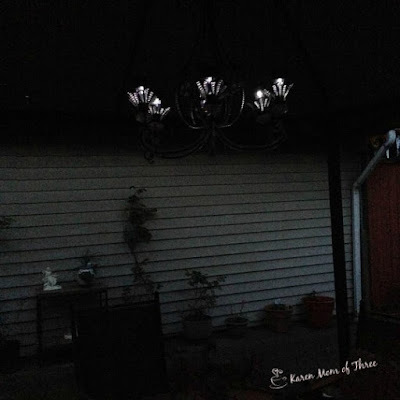 This photo is taken in my front yard under the maple tree, the one below is the tea table for two I have just outside the front door. Each space is unique and provides the most wonderful of respite. 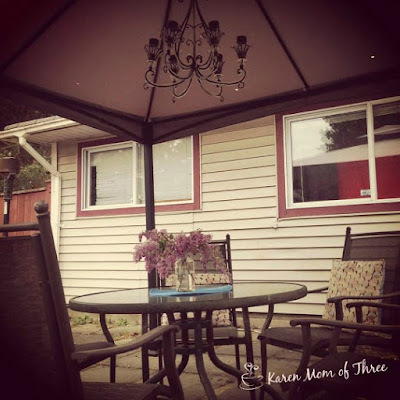 I love having these 3 spaces to call my own, finding the right items to put in these special spots is a passion of mine, next up, book the tea tent for some afternoon tea with friends. Yesterday was my birthday and thought the photo of my tea from yesterday morning is not a Geneology Themed Cozy I wanted to talk about a few I had found and was interested in. This time last year I had requested a DNA test from 23&Me that opened my world in so many ways. Not only did I learn about where my ancestors came from I learned also that even though I may never find my mothers birth family, I did find some very distantly related cousins. Learning that I had cousins even distantly related was truly delightful. Some of them I have had the pleasure of being in contact with and one of them I was able to find out on my fathers side, (Thank you cousin Erin) and another cousin in Ireland, who is from my moms side for sure. Best part is that my cousin in Ireland after knowing me a very short while, sent me a photo of a tea cup in an Irish pub and said that the teacup reminded him of me. It was that very simple and heartfelt gesture that made the entire process of discovery not only feel more personal but just so much more special. 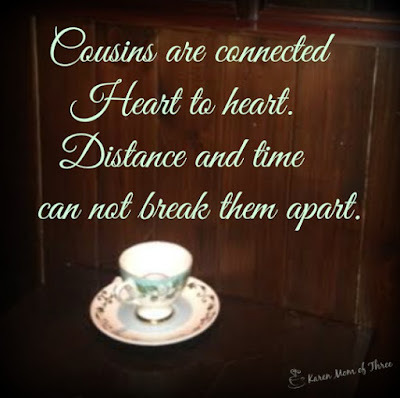 I did not grow up with cousins, I do not have close biological cousins that I am aware of and from my DNA the closest I have are 4th cousins and beyond. That connection though, knowing can't be beat! So today the day after my birthday I wanted to share some series you may like to look into if DNA/Ancestry or family trees are an interest to you. I do love an established series and there are 11 in this series, book one Family Skeletons by Rett Macpherson looks to be right up my alley! 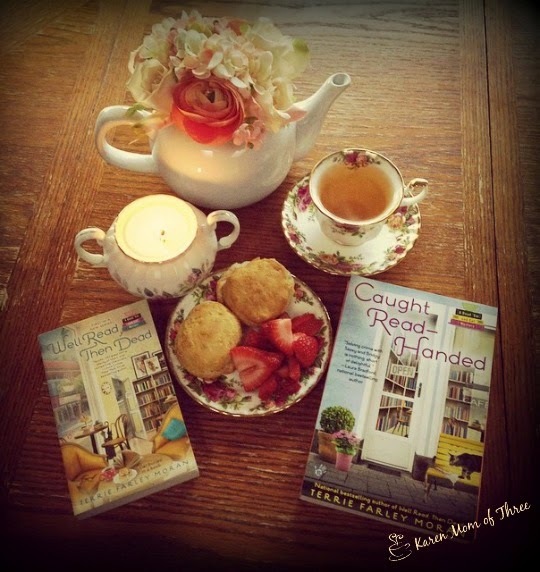 As resident genealogist, historian, tour guide, and occasional amateur snoop, Victory "Torie" O'Shea can be found anywhere in the historic German town of New Kassel, Missouri-mixing fudge, giving tours, tracing family trees, and even investigating murder...When shopowner Norah Zumwalt asks Torie for help in piecing together her family lineage to find her missing father, Torie cheerfully agrees. But before Torie delivers her results, Norah is brutally murdered. Now Torie must use her formidable skills at prying into the past-and the human heart-to solve a case of passionate secrets and betrayal. 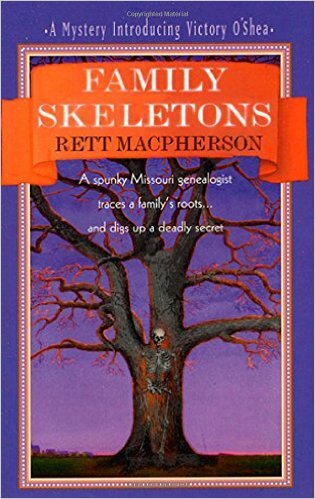 But as the Mississippi floods, she may be in deep trouble when evidence of another killing surfaces-and Torie comes face to face with a family skeleton that will chill her to the bone. Click here for the Amazon listing for book one and to learn more. 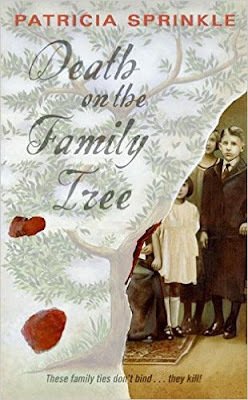 Patricia Sprinkle has a three book series that also caught my eye Death on the Family Tree is a great title don't you think? With grown-up kids and a husband always on the road, Katharine Murray's nest would be empty if it weren't for her Aunt Lucy—until the elderly woman dies. Now Katharine's saddled with her Aunt's worldly belongings—mostly knickknacks destined for the dumpster. But there's a priceless Celtic necklace among the dross—and a diary written in German, neither of which Katharine's ever seen before. 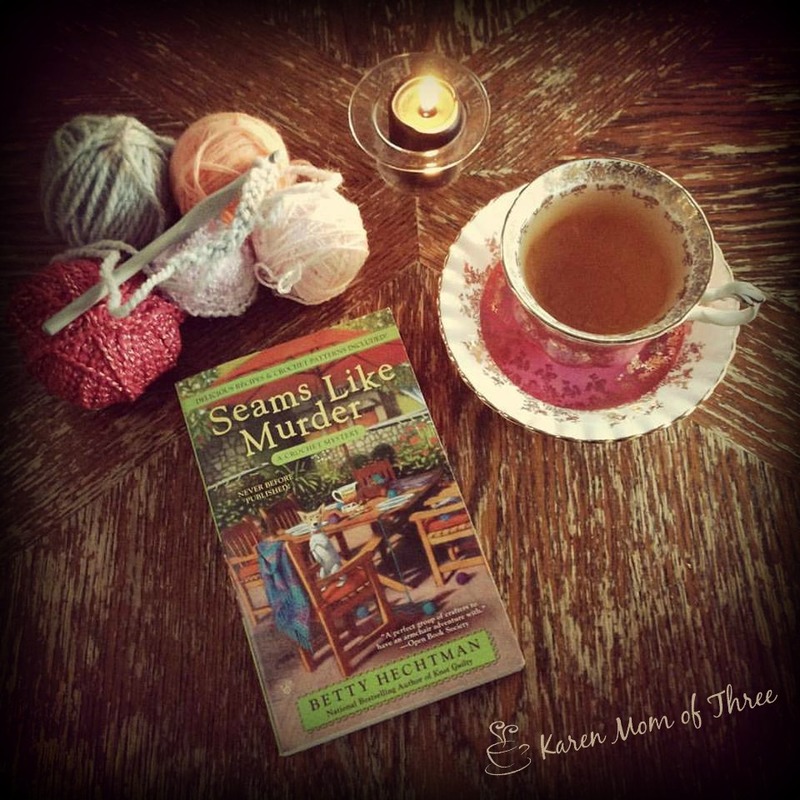 Determined to find out where these objects came from, Katharine unwittingly discovers a branch of her family tree she never knew existed—namely Aunt Lucy's brother Carter, murdered more than fifty years ago after a mysterious trip to Austria. 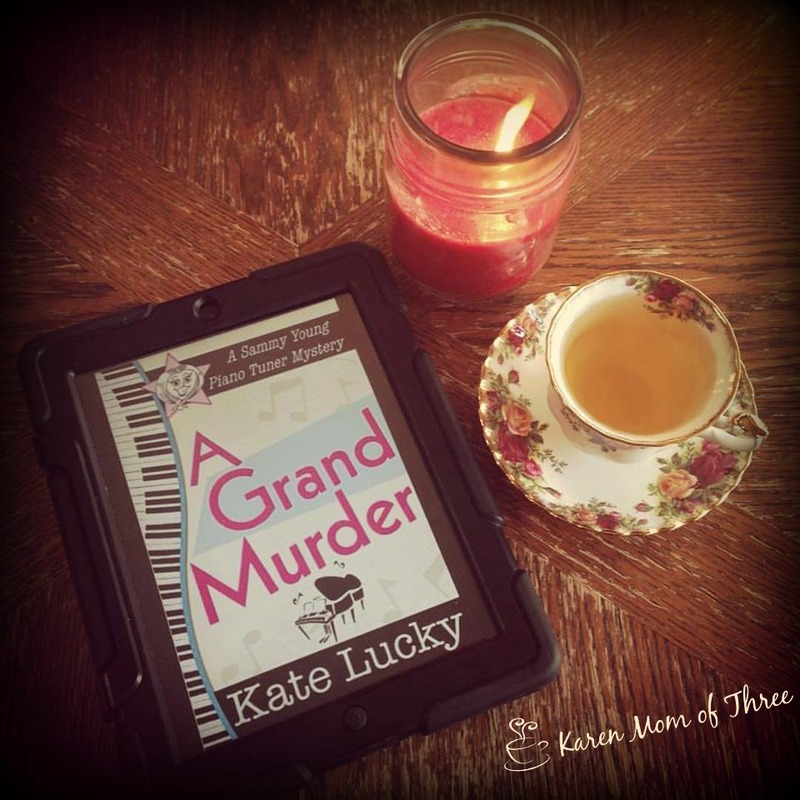 And when Lucy's artifacts are stolen, and the main suspect turns up dead, Katharine realizes she must solve a burglary and two unsolved homicides separated by a half-century . . . before more than her family secrets end up dead and buried. A Clue in the Stew. I enjoyed reading and reviewing this story in March. The paper back copy arrived recently and reminded me of how much I enjoyed this book and this series. I also loved how it looked on my table! 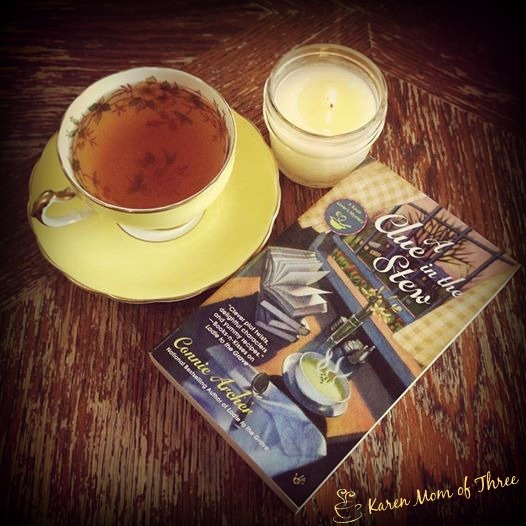 My friend Lisa K introduced me to this series and you can find this and all Connie Archer's Soup Lovers Mysteries by clicking here. 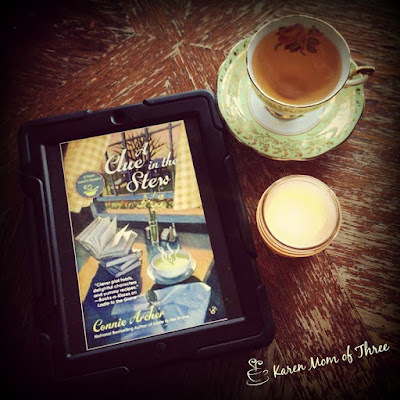 Soup shop owner Lucky Jamieson stirs up more trouble in the latest mystery from the national bestselling author of "Ladle to the Grave.".. 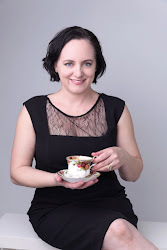 When Lucky Jamieson opens up By the Spoonful to host an event with a famous author, she s not expecting a bunch of nuts to descend on her small-town soup shop. 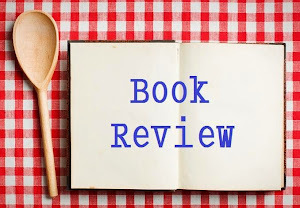 But the author s exasperating entourage from a prickly publicist to a snippy son and his tipsy wife give fresh meaning to the phrase, too many cooks spoil the broth. 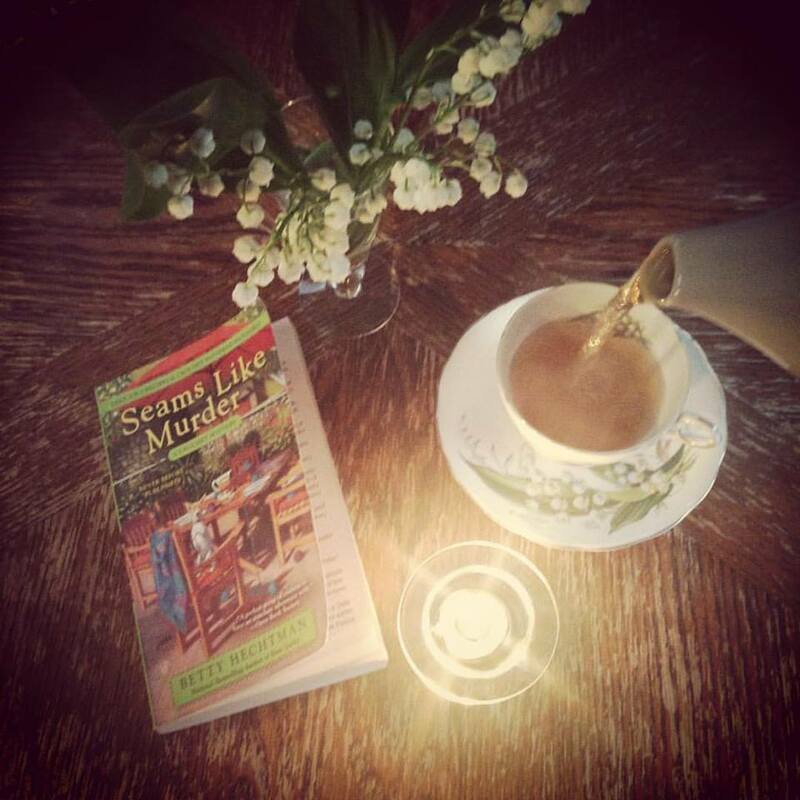 The evening is more than spoiled, however, when it ends with a homicide. When the manner of the murder as well as another recent unsolved crime echoes the author s fiction, Police Chief Nate Edgerton realizes he has a copycat killer on his hands. And Lucky hopes that one of her regular customers who has mysteriously gone missing isn t involved. 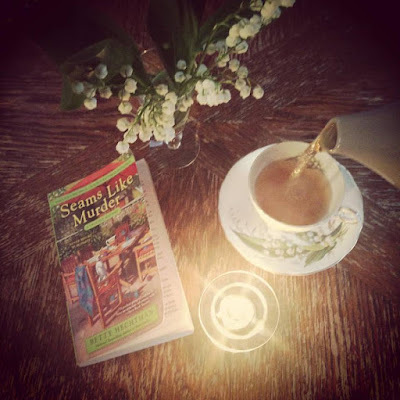 Once again, the soup shop owner will need to stir up some clues to find her friend and catch a cunning killer before things really take a tureen for the worse..."
This was my favorite in the series and one I felt so emotionally involved in. In my review last month I shared my reasons why, I hope you find that you are just as emotionally invested in this series as I am! To learn more about this series please click here. To order your own copy of A Clue in the Stew please click here. 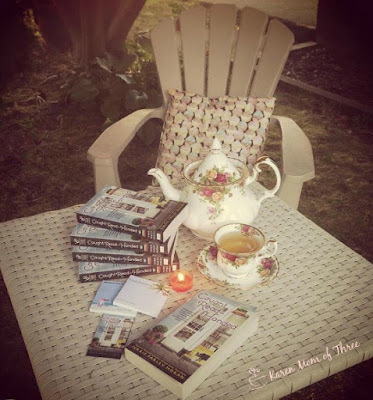 Hearse and Gardens A May 3rd Release You are Not Going To Want To Miss! Hearse and Gardens by Kathleen Bridge is out May 3rd and I was so very excited to get a copy to review. 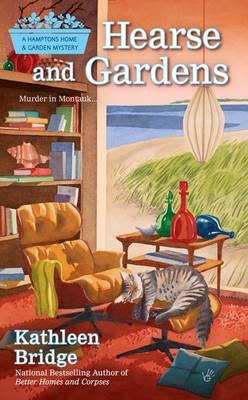 I had a hard time putting down this the second in the Hampton's Home & Garden mystery series. There is magic in this book though not the paranormal kind. Magic I have only seen in a few of my most favorite series. There is something truly unique and special about main character Meg and her adventures. Something so relate-able and believable. She is one of my most favorite cozy main characters of all time. She is not only brave and smart, she has a great work ethic, a no nonsense attitude and the girl knows her way around a yard sale! We could easily be friends. She sees the beauty and potential in things people take for granted and I have truly enjoyed spending the last two days with her. 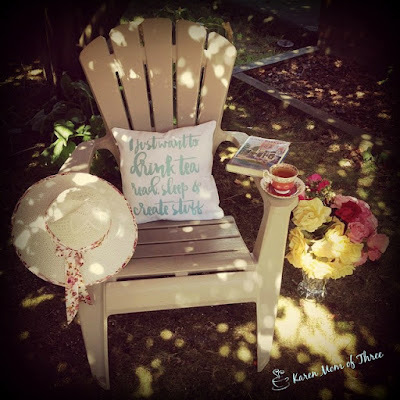 This is the perfect weekend get away book! "A Hamptons interior designer deals with skeletons in the closet in the new mystery from the national bestelling author of "Better Homes and Corpses." 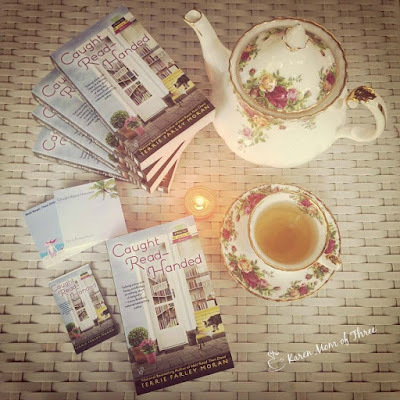 To keep her mind off the legal battle over the oceanfront cottage she s trying to buy, Meg agrees to help her friend inventory and clear out furniture from the massive Montauk estate of wealthy art broker Harrison Falks. But the job takes a terrifying turn when Meg discovers a skeleton in a hidden room in one of the estate s many bungalows. The remains turn out to be those of Harrison s son, who went missing nearly twenty years ago along with one of his father s Warhol paintings. As Meg delves into the Hamptons pop art past, she gets drawn into the sketchy goings-on and family drama at the estate. But when Meg makes no bones about solving the crime, she just might become the subject of the killer s next installation"
The more I think about it and even though Meg is an only child she really does feel like a sister. There are so many amazing things that happen both outrageous and subtle in this story, I fear that if I mention any of it I will want to give it all away. 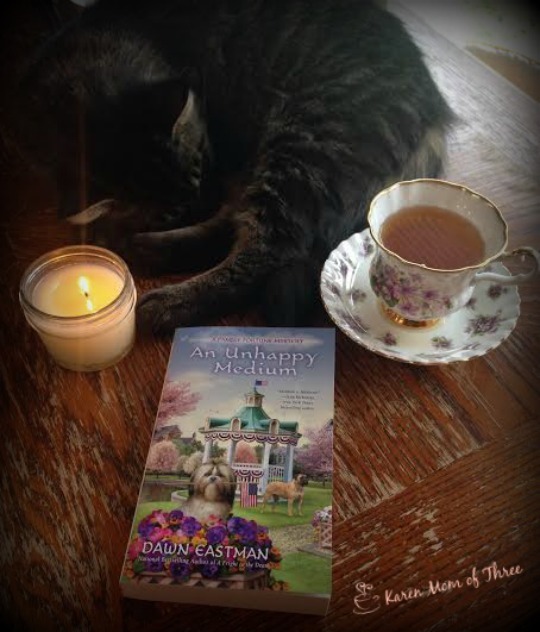 So I will only say this, grab a sweater, a cozy blanket and a large pot of tea, you are going to be transported to Autumn in the Hampton's, wind, rain, storms and adventure along with a few really great mysteries, new friends and old friends and some fantastic decorating tips are waiting for you to discover. 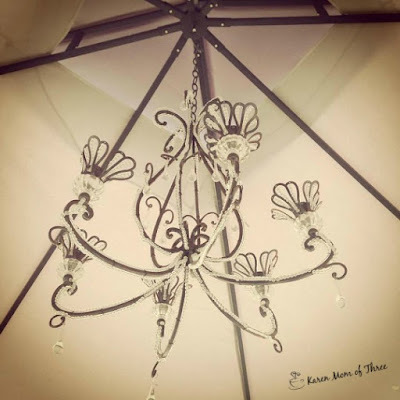 Learn more about Kathleen Bridge by visiting her website by clicking here. A Cup of Tea With Terrie Farley Moran Author Of The Read Em' and Eat Series! Today Author (As well as my friend) Terrie Farley Moran stops by for tea and to share a bit about her up coming third in series Read To Death! Thank you Terrie for joining us here today! 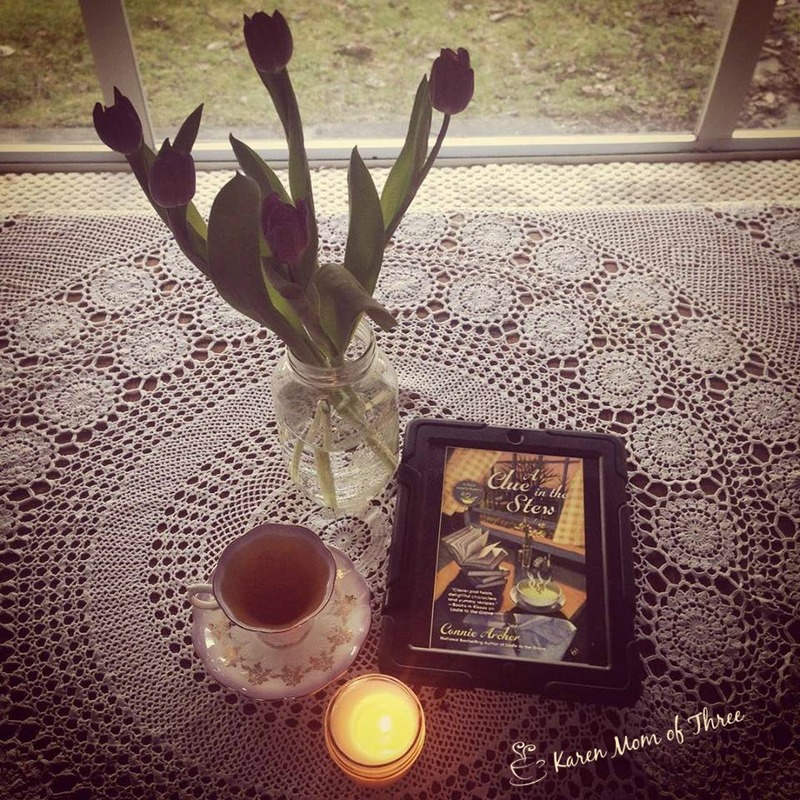 KMOT: Where do you get the inspiration for your characters in the Read Em' and Eat Series? TFM:When I wrote my first (still unpublished) novel, Driven to Death, the lead characters were two fifty-something women from New York who had resettled in Florida. Although their personalities are very different from the ladies in Driven to Death, Sassy Cabot and Bridgy Mayfield reflect my vision of what Annie and Jeanie might have been like if they had moved to Florida in their twenties. And I think Aunt Ophie shares a bit of Jeanie’s personality. 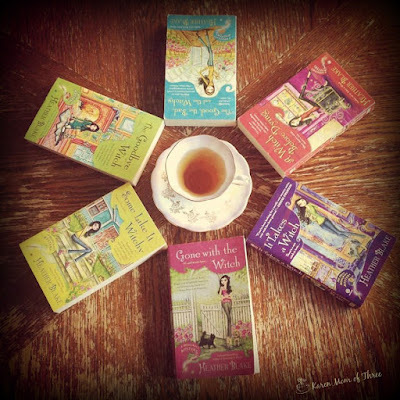 The Agatha Award winning first Read ’Em and Eat novel, Well Read, Then Dead introduced a complete set of new and fresh characters. Generally, characters talk to me in my head for a long time before I commit them to paper. I never model any characters after people I know, although I sometimes name characters after a friend. 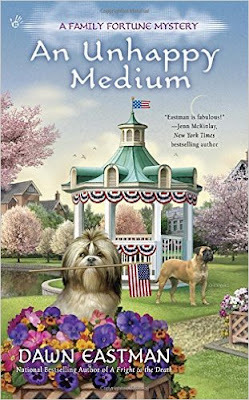 In Caught Read-Handed and Read to Death, the veterinarian is called Cynthia Mays, which is the maiden name of my best friend. I used her name with her permission and the only similarities are that both of them are attractive African-American women who love animals. They have no personality traits in common. KMOT: What motivates you to write? KMOT: Do you write every day or just when the characters are screaming to get out? TFM :I write every day. I find if I stop for a fewdays it is extremely hard for me to jump back in to the project. I can howeverswitch back and forth from one project to another. I don’t lose the mojo aslong as I am working, and that includes research and editing both of which Ienjoy far more than actual writing. 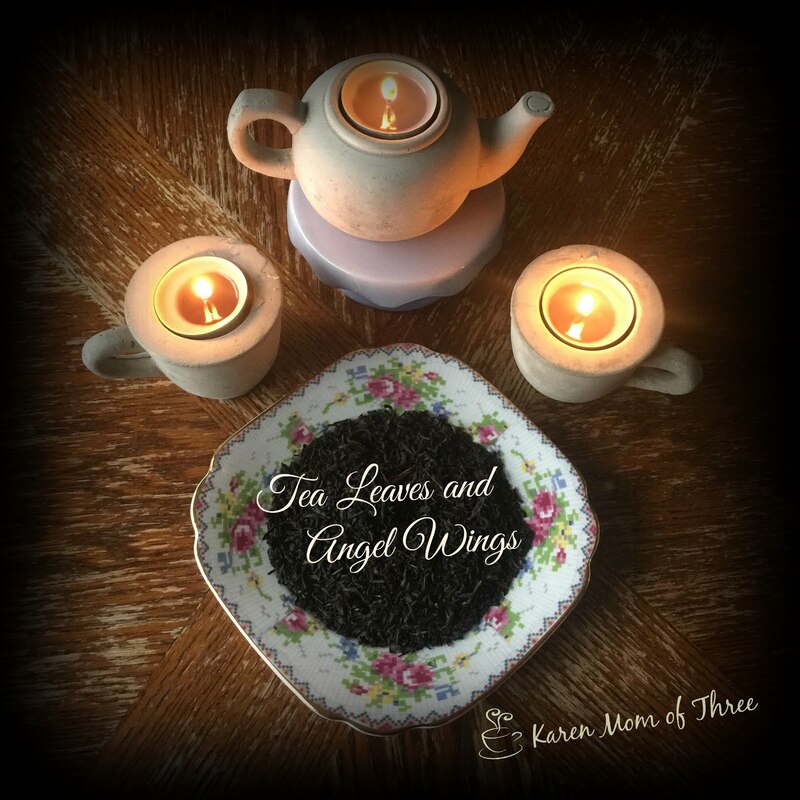 It also includes blog posts, interviewslike this and giveaways and promotions. As long as I am moving forward with mywork, I feel creative, which makes me happy. 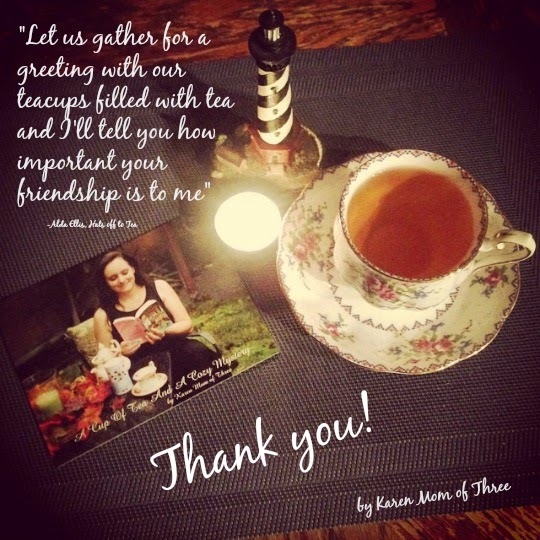 KMOT: When you are writing what sustains you, Coffee, Tea or other? 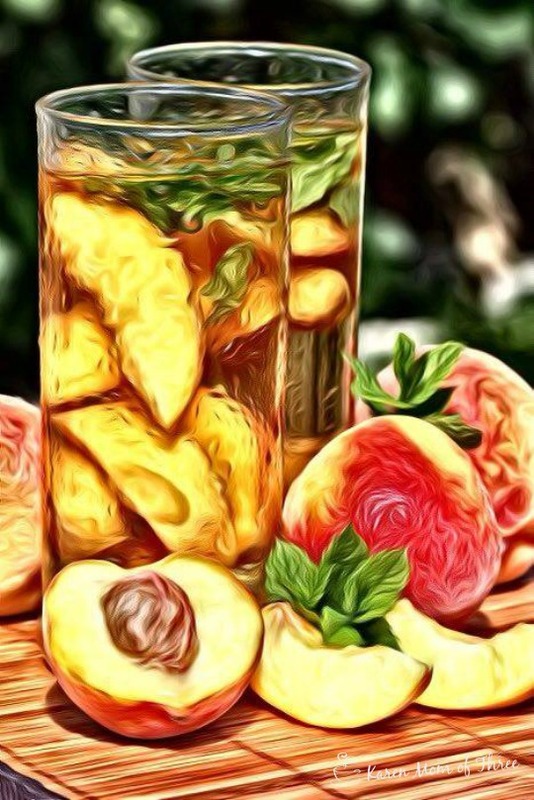 TFM:Tea. Green, black or white. Occasionally flavored. Sometimes decaffeinated. Often iced. I also drink a lot of water. I do drink coffee but it isn’t my go-to drink. KMOT: What do you want readers to know most about your work? TFM:I want readers to know that my goal is to produce books and stories that entertain. When a reader finishes reading, I hope she will sigh and think, “Oh that was a delightful story. I really enjoyed meeting those people.” If that happens, I have done my job. And if it hasn’t happened for a particular reader, I don’t mind hearing constructive criticism. Also,I want to thank Karen for contributing her excellent recipes to Caught Read-Handed and Read to Death. The national bestselling author of "Caught Read-Handed "revisits Fort Myers Beach, Florida, where the proprietors of a local bookstore cafe occasionally take a stab at solving murder... At their seaside Read Em and Eat bookstore cafe, Sassy Cabot and Bridgy Mayfield offer fresh scones, great books, and excellent detective work With their book club season wrapping up with "The Florida Life of Thomas Edison," Sassy and Bridgy decide to take their group on a day trip to the beautiful Edison and Ford Winter Estates. Hiring driver Oscar Frieland, who s known for his colorful stories and love of the cafe s Robert Frost fruit tartlets, the bibliophiles set off for a day of sunshine and history. After a lovely excursion, the club returns to the cafe for lunch and a book discussion, but the group falls silent after Oscar is found dead in his van. The sheriff s deputies have some questions of their own for the group, and if the ladies don t find some answers soon, the next book they read might be from a prison library." Learn more about Terrie Farley Moran's books by visiting her website by clicking here. You can pre order your copy of Read To Death with free shipping from The Book Depository by clicking here. Or From Amazon.com by clicking here. 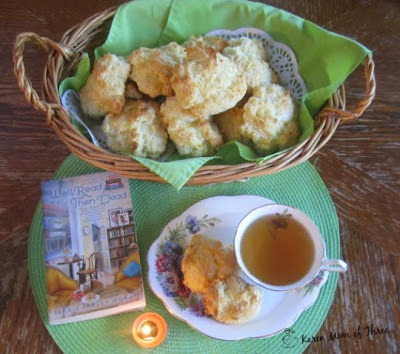 Thank you Terrie for joining us for tea today and it is entirely my pleasure and an honor to share my recipes in your books! 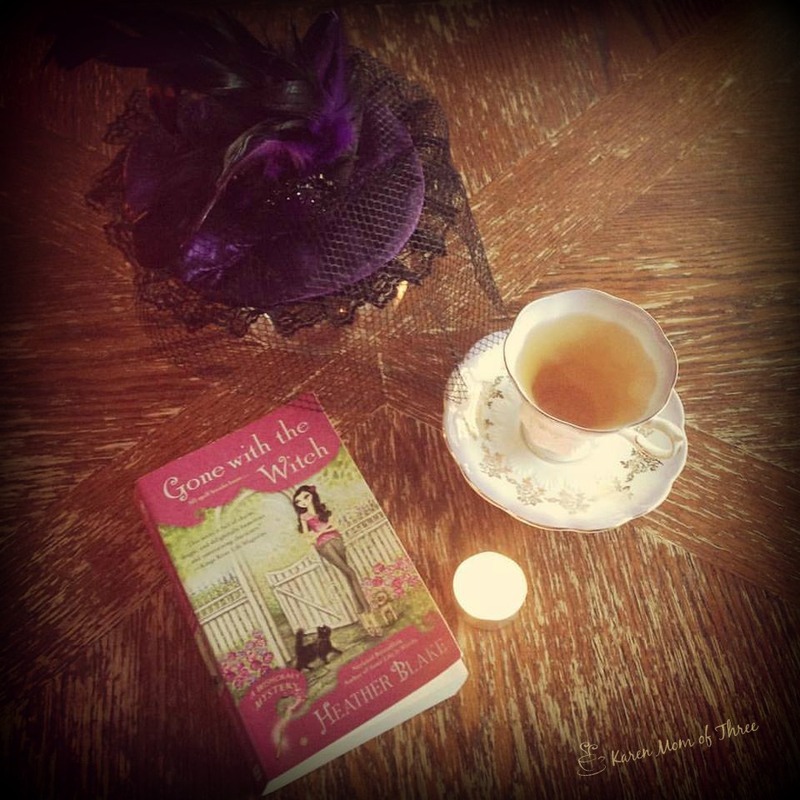 Gone With The Witch, Please Take Me With You! Earlier this week the mail man showed up at the same time as the UPS man and my mail man yelled to me "Are you cheating one me?" when a rather large package of books arrived at my door step, we all had a good laugh. 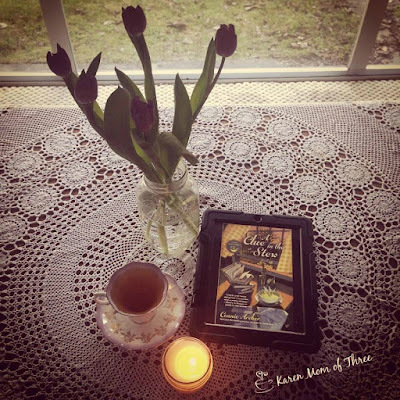 I was so thrilled to find inside Heather Blake's Gone with the Witch, ( I have also ordered this book from the Book Depository, I pre order as many of my favorite series as I can to continue to support them.) I quickly dove into the story, coming up for only air and to pick up the boys from school. Just before I finished it my husband said "Is that the book you started yesterday?" My response was "No I started it this afternoon" which I think surprised him, my reading has gotten faster and the 330ish paged books I read seem to take me no time at all, especially when they are written as well as this series is. 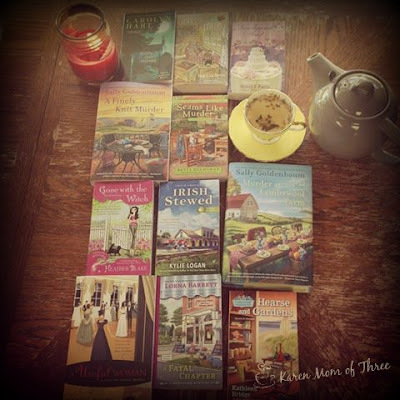 I am sure it is wrong to play favorites but I think I do, I will say that this is my most favorite paranormal cozy series, I have thoroughly enjoyed and savored each word in each of these colorful mysteries. The latest book Gone with the Witch is out May 5th and is brilliantly written. True to all the characters we have come to love, filled with more emotion (if that is even possible) and fun surprises I know you are going to love. It felt like a visit with family and friends and just like coming home. 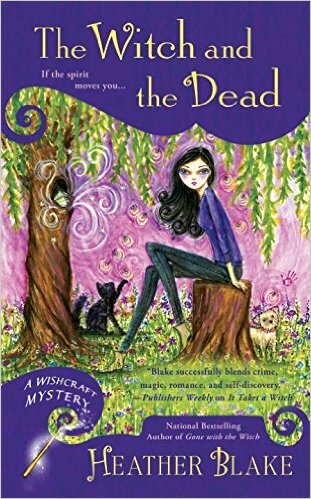 Heather Blake's A Wishcraft Mystery series is the perfect blend of cozy, meets paranormal, meets romance. Gone with the Witch has me wanting to pack my bags and join Darcy and the gang in the Enchanted Village full time, I think I need to hang out more at the Natural Magick Tea Shoppe in town, perhaps take it over, don't you? 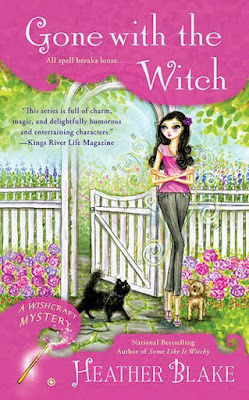 The Wish Craft Mystery Series returns with wish-granting witch Darcy Merriweather is put to the test after murder takes first prize at a pet show. . . . Darcy and her dog Missy are determined to put their best foot forward at the Enchanted Village s annual Pawsitively Enchanted pet contest. She s happy to lend a hand when the show s organizer hires Darcy to keep an eye on things among growing suspicions that someone is sabotaging the event. But Darcy s quest for justice is thrown off the scent when her lead suspect is found dead at the competition. As if a murder weren t bad enough, someone begins snatching up prize-winning pets right from under their owners noses. Darcy is determined to protect the pampered participants at whatever cost. But she ll have to work fast to sniff out the thief before she becomes the next victim of a killer determined to stop her dead in her tracks..."
Learn more about Heather Blake and her cozy series by clicking here. PS October can not come fast enough! The Witch and the Dead can be pre-ordered by clicking here from Amazon or from The Book Depository like I did by clicking here. This week I have had some lovely soon to be released titles on my table, I have actually had more then a dozen cross my table since Wednesday and though I have tried I have merely made a small dent of only a few of them read and set for review. I am truly delighted with the task at hand! 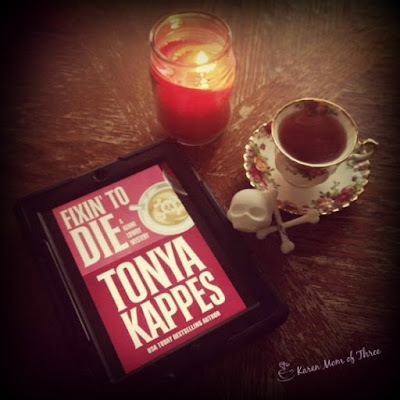 Fixin to Die by Tonya Kappes was a good read, some wonderful funny and endearing moments and one you are might just get hooked on! 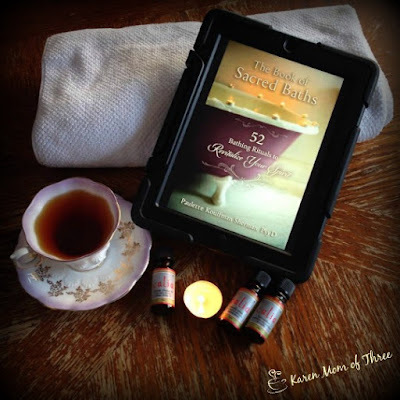 A wonderfully indulgent and inspiring read The Book of Sacred Baths was a much needed and truly delightful self-care escape. 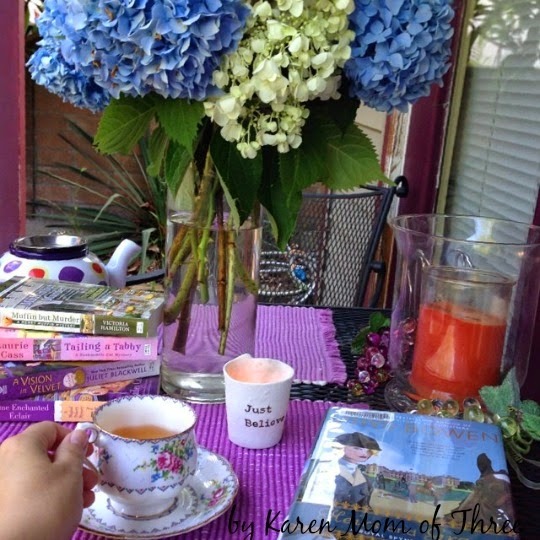 The Tea Party In The Woods was a lovely addition to my table this week, child like wonder and comfort in this book, one you should pick up for yourself and the little tea party lovers in your life. A Grand Murder, somewhat of a different style of cozy, also crossed my table and made for an entertaining read. 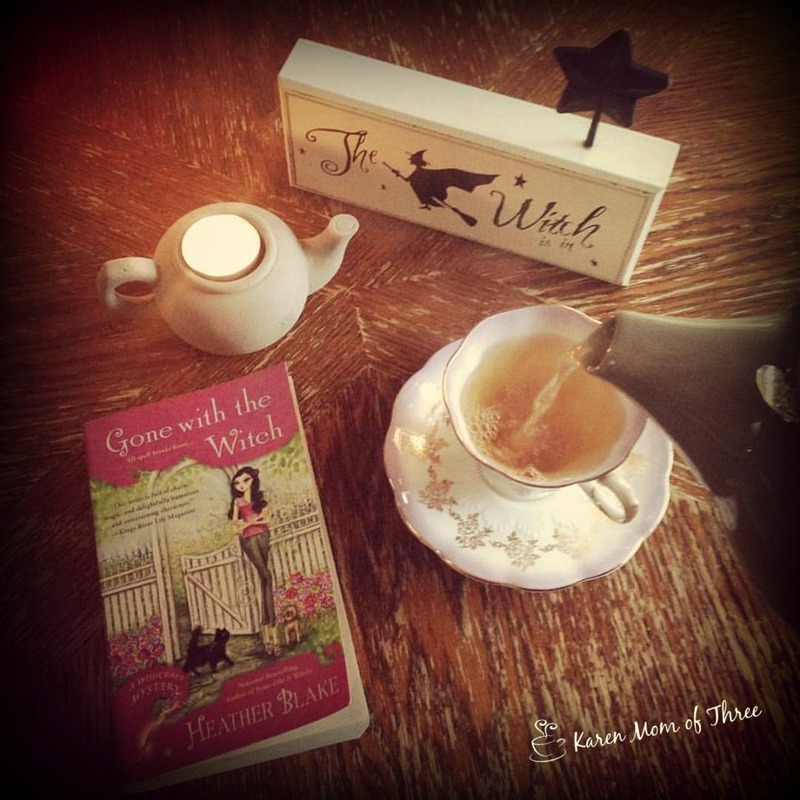 I was most excited to have Heather Blake's Gone with the Witch very briefly on my table as I could not put it down and am excited to share my review Sunday with you all. for now I am a few chapters away from finishing A Useful Woman, this Austen Era mystery I shall share a review of early next week. 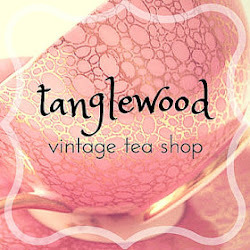 In my cup this week I have enjoyed Irish Breakfast, Heavenly Cream black teas and a lovely Wild Strawberry Green Tea. The weather has been lovely for the last few days and I have also been enjoying a iced sweetened peach black tea. More on that as the weather warms and the days get longer. Great AMAZON.COM Deals To Be Had! Breach Of Crust What are you waiting for? 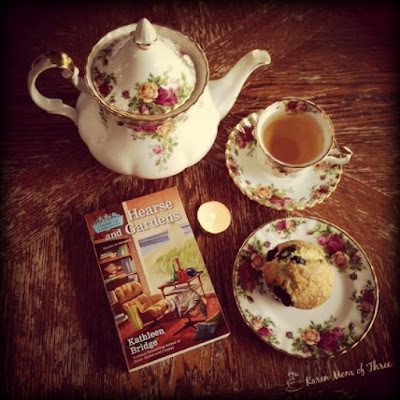 Tea Cozy Tutorial, I love the pocket don't you?